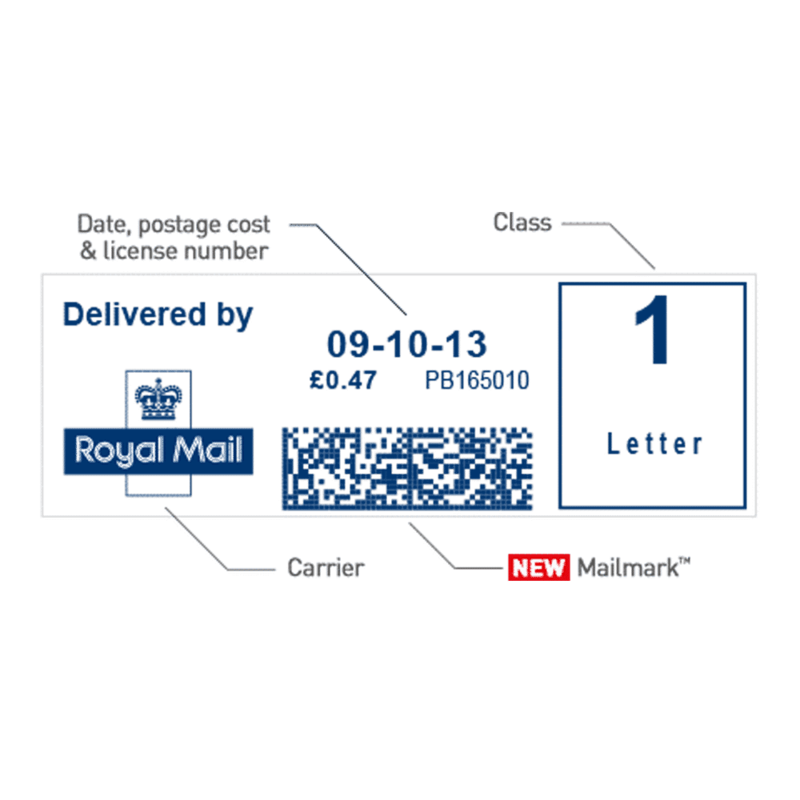 The Royal Mail introduced Mailmark during 2014 as an alternative method of franking to the traditional ‘town and crown’ die. Mailmark offers a faster and more efficient 2D barcode instead. Now, in 2019, many customers have migrated to the new way of Mailmark franking by using a Mailmark enabled franking machine. A common question we hear is “is the investment worth it when the old franking service is still in place?”. So we decided to put a list together of 8 ways Mailmark can benefit your business. When franking mail with a Mailmark franking machine, you instantly start franking at the lowest postage rates available. It is cheaper than standard franking, with every 1st class standard letter costing 3p less than standard franking and every 2nd class standard letter costing 6p less than standard franking. Download Our Royal Mail Postage Rates 2019 PDF Wall Poster and compare prices. When Royal Mail changes their postage rates you will never have to do a thing. You can sit back and relax whilst the franking machine automatically updates your rates. No more engineer call outs needed to come out and adjust your franking machine. A traditional ‘town and crown’ die impression consisted of the postal town, date of postage, amount paid and the franking machines die number. With Mailmark however, you have access to more products and services. One such service is the Prepay Business Reply service, which enables Mailmark users to do a date-less, pre-paid frank. A Mailmark franking machine can connect to a LAN. In turn, this will give you access to faster downloads, without the need for a costly analogue phone line. As a Mailmark impression does not include a town postal mark, all your franked mail can be dropped off at any Post Office in the UK. You are no longer restricted to which Post Office you use. If you send large volumes on a daily basis, you can instead set up a regular Business collection. Mailmark gives users access to more in-depth analysis of how every mail item is sent. Not only can a Mailmark franking machine record information on who sent an item, where an item is and when it’s going out for delivery, but businesses can now access an online analytics dashboard to monitor performance more accurately. A Mailmark barcode will make your mail look far more professional and clean in comparison to the traditional ‘town and crown’ die. Frank a company logo on each item and boost the look of your mail items. Mailmark has been around for a while now but for a long time it has been considered the future of the franking industry. With more benefits being available to Mailmark users, investing in a Mailmark franking machine is a serious consideration for any business.